I've had the pleasure of photographing sweet Quinn for over a year now and I cannot believe he is TWO!!! He entered the studio in typical two year old fashion... hesitate, unsure and just a touch of grumpiness. But that all soon faded when I showed him my flashing studio lights and he had a BLAST pushing the button on my camera to make the lights go off. 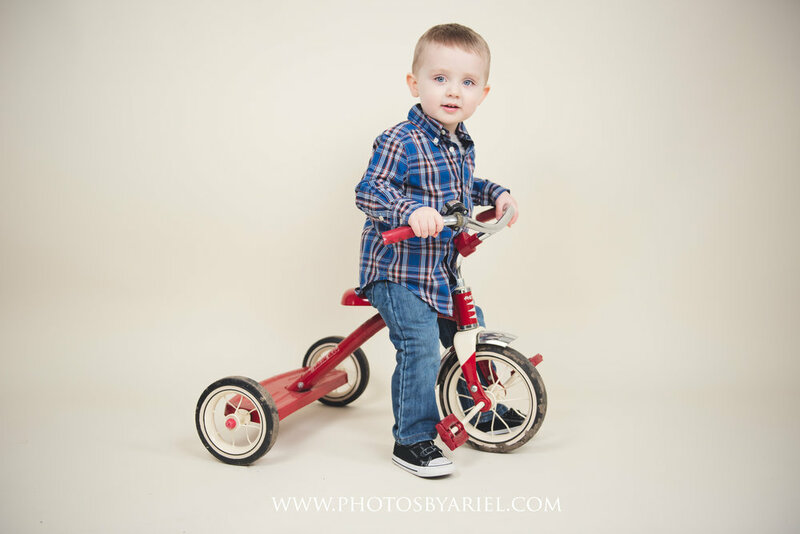 And with a little persuasion and the help of a tricycle and some gummi snacks Quinn was ready for his turn in front of the camera! Such a handsome fella! Happy 2nd Birthday Quinn! Older PostHappy 1st Birthday Luke!